In the days and weeks before I went to New York, I returned to an activity and also to feelings that were central to my Juilliard experience. I practiced and I also experienced performance anxiety. This time, my practice was not on the piano, but rereading my book and preparing myself psychologically for a public presentation at The Juilliard Bookstore located at The Juilliard School. But first, let me tell you about my performance anxiety. 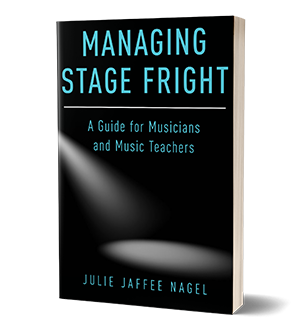 It was fascinating to keenly observe how some old feelings about stage fright surged as I planned to return to my musical alma mater. When I began to reread my book, despite the fact that I almost know every word by memory, it all felt new. I wanted “Melodies of the Mind” to be fresh for my presentation, but I couldn’t stop thinking, “how did I write all that?” This was quickly followed by the idea, “will I remember everything I want to share with the audience?” “Will there be an audience?” Then I’d have the thought, “will I feel too nervous to even remember what I wrote”? Need I tell you I felt agitated with excitement and anticipation? I experienced an unwelcome dose of performance anxiety. 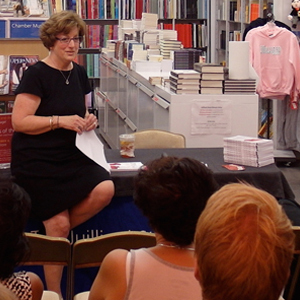 Since my book has been published, I’ve done a number of book events; they all have gone smoothly and successfully. I have kept my head on my shoulders in public and I have not had anxiety. I have enjoyed them. Feedback has been good. But returning to Juilliard found my adrenaline flowing freely. I paced myself in various ways. I took long walks. I thought about the book – I avoided thinking about the book. I read parts of my book and then put it down – for days. But my book was always in my mind in one way or another– it is a part of me and represents me – as does any performance. I also revisited some of the things that I learned about myself in my psychoanalysis. A few days before I went to NY, I made some mental notes about what I wanted to emphasize and jotted down some specific themes and variations I wanted to be sure to include. Then I got involved in last minute errands and packing and the logistics of travel. Yet through it all, my book signing at Juilliard and my memories of studying and performing at Juilliard were swirling in my head – consciously and unconsciously. Life experiences are personal history – your unique history – that accompany you on stage – whether it’s a book store, a stage, a board room or committee meeting, an exam, writing a paper, arguing a case in courtroom, or a job interview. I visualized going to Juilliard, what it would feel like to be in the building, giving the presentation, and dealing with the thought that I could not predict what would actually happen until it happened. Being in public, whether as musician or speaker, involves performance anxiety for most of us. I felt like my life and the significant people in it were all parading before me. The closer October 4 came, I increasingly felt like I was waiting backstage to go on stage…….practice does not give assurance of what might happen in public. Public performance is in the moment. This has always been the scariest part of performing. You want control guaranteed, and you know there are no guarantees. Would anyone come? Who would come? Would I sleep the night before? How dressy or casual should I be in my choice of what to wear? I was hooked into the “what if” syndrome – not at all helpful to tame anxiety. Yet, ironically, part of me also welcomed the unknown – the spontaneous quality inherent in live performances. I believed I had something good to share with the audience. This was exciting. And I was going “home”. 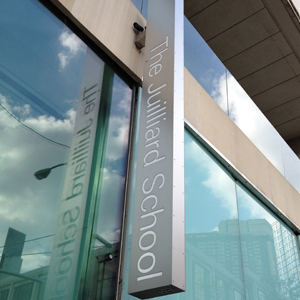 Juilliard is not a place. It is an experience – an experience I had lived deeply and passionately long ago; Juilliard remained vibrantly alive in me through the years. 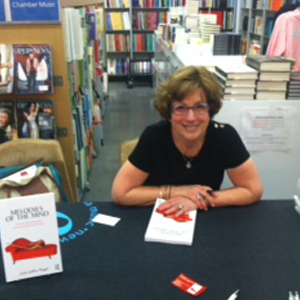 On the day of the book signing, I awoke earlier than usual – how could you sleep with all that adrenaline pumping? I had a light breakfast and, believe it or not, I went shopping in New York near my hotel. Retail therapy!! Realizing I started to feel antsy, I went back to the hotel and dutifully ate a small lunch and decided to rest. I did not look at my book again but it was clear from the thoughts popping into my head, that I was ready – there was no more prep I could do. Physically I felt my adrenaline surging, my heart beating rapidly – I felt hyped up. Not with fear, but with anticipation. I stayed in my hotel room and found myself able to close my eyes and relax deeply – focusing on my breath as my thoughts wandered. I started to realize gradually that I felt calmer, less keyed up and I returned to an important recurring theme from my own psychoanalysis – that there is something right with me – instead of dwelling on what could be wrong or go wrong. It was time to go. Arriving at Lincoln Center, where Juilliard is located, is awesome. Lincoln Center, with its magnificent fountain as a focal point among the various imposing concert venues, is inspiring and breathtakingly beautiful. Lincoln Center is an island and Mecca of arts, music, and culture in New York City – the Metropolitan Opera, The NYC Ballet, Avery Fisher Hall, and The Juilliard School of Music. The area is pulsing with music, arts, nostalgia and personal meaning for me. A combination of both disbelief and certainty came over me that I was about to make a contribution in this cultural environment – that I had come home to my past while bringing my present and all the years in-between with me. There have been many years and many personal challenges since my Juilliard graduations and the current moment. I felt a thrill and a wave of excitement. I couldn’t wait to begin – to experience the moment and to enjoy whatever happened next. My book was on display and its cover greeted me as I entered. People began to come in, sit down, and chat informally with me. I sipped some iced tea that I brought with me. I began to talk; thoughts flowed. The audience was engaged and eager to participate in a lively dialogue when I was finished. I autographed numerous copies of my book. I had come home in a way that was impossible envision years ago or even moments before the event. I realize more and more that “Melodies of the Mind” is composed of melodies in my mind – melodies and memories that have taken my life-time to create, to rewrite, to revise, and to share with others though my work and my words. My book has been my journey traversing my past and present – through highs and lows and detours that have led to a greater appreciation of music, psychology, the power of my mind and emotions. “Melodies of the Mind “ has allowed me to express ideas about my (and I think your!!) ability to grow beyond a dream that was too far-fetched to even imagine when I was a student. This trip to Juilliard allowed me to realize that my performance anxiety has evolved into performance energy and anticipation. This energy includes the ability to accept who I am, who I am not, and who I still want to become. I’d love to hear about your performance anxiety journey and some of the melodies in your mind. Share with me in the comments below!